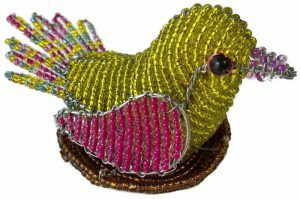 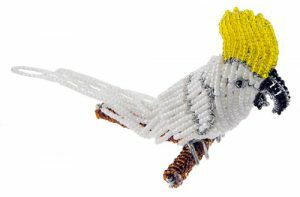 Brighten up your room with our amazing fair trade 5-1/2″ x 7-12″ beaded tropical fish figurine! 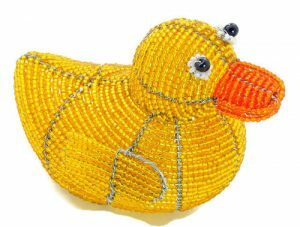 Who says a fish needs water? 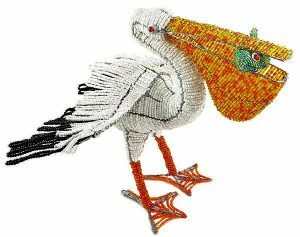 Our Royal Angelfish figurine – Regal Angelfish figurine will look great hanging in your kitchen, bathroom, bedroom or in any room where you are looking to create a sea life theme decor. 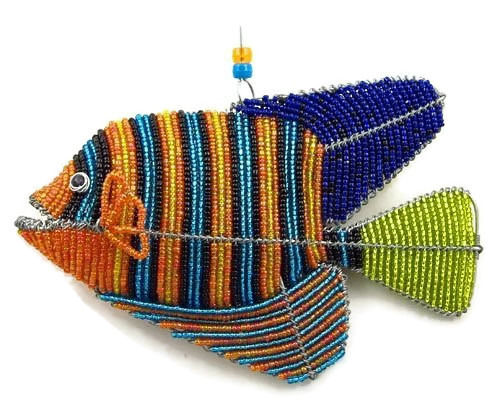 Our beaded Royal Angelfish figurine – Regal Angelfish figurine is painstakingly hand crafted by Africa’s best bead and wire artists in South Africa and Zimbabwe.